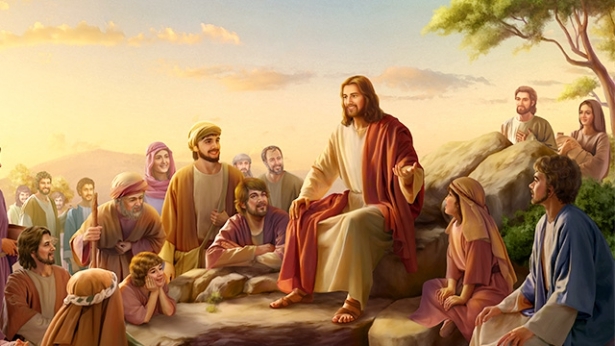 About why God must be incarnated twice to do the work of saving mankind, we should first be clear: With regard to the salvation of mankind, God’s two incarnations have a deep and profound meaning. Because the work of salvation, no matter if we’re talking about the redemption or the judgment and purification and salvation of the last days, cannot be performed by man. It requires God to be incarnated and perform the work Himself. In the Age of Grace, God was incarnated as the Lord Jesus, that is, God’s Spirit clothed Himself in a holy and sinless flesh, and was nailed to the cross to serve as a sin offering, redeeming man from his sinfulness. We all understand this. But as for the return of the Lord Jesus in the last days, why is He incarnated in the flesh as the Son of man to appear and work? Many have a hard time understanding this. If Almighty God had not explained this aspect of the truth and unveiled this mystery, no one would have understood this truth. Now, let’s see what exactly Almighty God has said. Almighty God says, “The first incarnation was to redeem man from sin, to redeem him by means of the fleshly body of Jesus, that is, He saved man from the cross, but the corrupt satanic disposition still remained within man. The second incarnation is no longer to serve as a sin offering but rather to save fully those who were redeemed from sin. This is done so that those who have been forgiven may be delivered from their sins and made fully clean, and by attaining a changed disposition, break free of Satan’s influence of darkness and return before the throne of God. Only in this way can man be fully sanctified. After the Age of Law had come to an end, and beginning with the Age of Grace, God began the work of salvation, which continues until the last days when, in judging and chastising the human race for their rebelliousness, He will completely purify mankind. Only then will God conclude His work of salvation and enter into rest. Therefore, in the three stages of work, only twice did God become flesh to carry out His work among man Himself. That is because only one in the three stages of work is to guide men in leading their lives, while the other two consist of the work of salvation. Only by becoming flesh can God live alongside man, experience the suffering of the world, and live in an ordinary body of flesh. Only in this way can He supply men with the practical word that as created beings they need. It is through the incarnation of God that man receives full salvation from God, and not directly from heaven in answer to his prayers. For, man being of the flesh, he has no way of seeing the Spirit of God, much less of approaching His Spirit. All that man can come into contact with is God’s incarnate flesh, and only by means of this is man able to grasp all the words and all the truths and receive full salvation. The second incarnation will be sufficient to purge away the sins of man and to fully purify him. Hence, with the second incarnation, the entirety of God’s work in the flesh will be brought to a close and the significance of God’s incarnation be made complete. Thenceforth, the work of God in the flesh will have entirely come to an end. After the second incarnation, He will not become flesh a third time for His work. For His entire management will have come to an end. The incarnation of the last days will have fully gained His chosen people, and humanity in the last days will all have been divided according to their kind. He will no longer do the work of salvation, nor will He return to the flesh to carry out any work” (“The Mystery of the Incarnation (4)” in The Word Appears in the Flesh). “At the time that Jesus was doing His work, man’s knowledge of Him was still vague and unclear. Man always believed Him to be the son of David, and proclaimed Him to be a great prophet, the benevolent Lord who redeemed man’s sins. Some, on the strength of their faith, were healed just from touching the edge of His garment; the blind could see and even the dead could be restored to life. However, man was unable to discover the corrupt satanic disposition deeply rooted within himself, neither did he know how to cast it away. Man received much grace, such as the peace and happiness of the flesh, the faith of one member bringing blessing on an entire family, the healing of sickness, and so on. The rest were the good deeds of man and his godly appearance; if man could live on the basis of these, he was considered an acceptable believer. Only believers of this kind could enter heaven after death, which means that they were saved. But, in their lifetime, these people did not understand at all the way of life. All they did was to commit sins and then confess their sins in a constant cycle without making any path toward changing their disposition: Such was the condition of man in the Age of Grace. Has man received complete salvation? No! Therefore, after that stage of work was finished, there still remained the work of judgment and chastisement. This stage is to make man pure by means of the word and thereby give him a path to follow. This stage would not be fruitful or meaningful if it continued with the casting out of demons, for it would fail to extirpate man’s sinful nature, and man would come to a standstill at the forgiveness of his sins. Through the sin offering, man has been forgiven his sins, for the work of the crucifixion has already come to an end and God has prevailed over Satan. But the corrupt disposition of man still remaining within him, man can still sin and resist God, and God has not gained mankind. That is why in this stage of work God uses the word to expose the corrupt disposition of man, causing him to practice in accordance with the right path. This stage is more meaningful than the previous one, as well as more fruitful, for now it is the word that directly supplies man’s life and enables the disposition of man to be completely renewed; it is a much more thorough stage of work. Therefore, the incarnation in the last days has completed the significance of God’s incarnation and completely finished God’s plan of management for man’s salvation” (“The Mystery of the Incarnation (4)” in The Word Appears in the Flesh). From Almighty God’s words we see that in the Age of Grace God was incarnated the first time merely to do the work of redemption, using the crucifixion as a sin offering to redeem us humans from our sinfulness, to relieve us from the curses and condemnation of the law. We had only to confess our sins and repent and our sins would be forgiven. We could then enjoy the bountiful grace and truth which God bestowed upon us. This is the work of redemption which the Lord Jesus did, and is the true meaning of being saved by faith in the Lord. Though the Lord Jesus pardoned us of our sins, we have yet to wrest ourselves from the fetters of sinfulness, for we are still possessed of our sinful nature and satanic disposition. Though we have admitted our sins to the Lord and have gained His pardon, we have no knowledge of our sinful nature, and have even less knowledge of our corrupt disposition, a condition much more serious than sinfulness. We are only capable of recognizing that sin within ourselves which consists of lawlessness, and that which results in the accusation of our conscience. But we fail to recognize the deeper sins, the sin of resistance to God. For instance, we have no knowledge of the root of our resistance to God, or how our satanic disposition is made manifest, how the satanic nature came to be, what Satan’s poisons exist within our nature, where man’s satanic philosophy and satanic logic and rules arise from. So why is it that we have no knowledge of these satanic things? Given that man has been pardoned of his sins by the Lord Jesus, why can’t he wrest himself from the fetters of sinfulness, and why does he even continue to commit the same sins? Is he truly purified once he has been pardoned of his sins? This is a truly practical issue that no one in the Age of Grace seems to understand. Though in our belief in the Lord, we are pardoned of our sins, we still unknowingly commit sins, resisting and betraying God. We believers all have first-hand knowledge of this. For instance, even after putting faith in the Lord, we continue to lie, to be vain, to despise the truth and uphold evil. We are still arrogant, treacherous, selfish and greedy; we are helplessly caught up in the corrupt satanic disposition. We work tirelessly for the Lord, but we do so in the hopes of being rewarded and entering into the kingdom of heaven. When we enjoy the Lord’s grace we are happy and resolute in our faith in the Lord; but as soon as we are faced with disaster, or there is some tragedy in the family, we misunderstand, blame and even deny and betray the Lord. As soon as God’s work is not in line with our conceptions and illusions, we act like hypocritical Pharisees, resisting and condemning God. We have first-hand experience of this. What does all this prove? This goes to show that though we accepted the Lord Jesus’ salvation and were forgiven our sins, this does not mean that we have thoroughly rid ourselves of sin and are now purified, even less does it mean that we have become of God and have been gained by God. So, when the Lord Jesus comes again to do the work of judgment in the last days, many from the religious world come to judge, condemn and blaspheme God, publicly announcing Him as their adversary and nailing Him once again to the cross. Could those that publicly condemn and resist God be raptured into the kingdom of heaven just on the basis of their sins being pardoned? Could God allow these evil forces that resist God within the kingdom of heaven? Would God rapture these antichrists, these haters of truth, into the kingdom of heaven? As we can see, though we are pardoned of our sins through our faith in the Lord, we have not fully rid ourselves of sinfulness, rid ourselves of the satanic influences, and have even less so been gained by God and become of God. So, if we wish to rid ourselves of sin and achieve purification, to be fully gained by God, we must be thoroughly purified and saved by the work of God’s second incarnation. We have far too simple a view of God’s work of salvation, as if as soon as our sins were pardoned there were no other issues, and all that was left was just to wait to be raptured by the Lord into the kingdom of heaven. How naive and childish we corrupt humans are! How ridiculous man’s conceptions and illusions! Was sin the only problem to afflict man after being corrupted by Satan? What is the root of man’s sin? What is sin? Why does God detest it? To this day, no one has a proper understanding. Man has been corrupted thoroughly by Satan, to what degree is their corruption? No one is clear. The reality of man’s thorough corruption was made evident during the crucifixion of the Lord Jesus. The fact that humans could crucify the merciful Lord Jesus, who had expressed so much truth, truly showed that man had become the descendant of Satan, the ilk of Satan, and had entirely lost their humanity, they did not even possess the slightest modicum of rationality or conscience. Who among man still possesses normal humanity? Doesn’t man’s resistance and animosity toward God indicate that man has come to the point where it’s either them or Him, where they become irreconcilable with God? Can this problem really be solved by having their sins be pardoned? Who can guarantee that by having our sins pardoned, we won’t resist God or take Him as our enemy? No one can guarantee it! Our sins may be pardoned, but can God pardon our nature, a nature which is resistant to God? Can God pardon our satanic disposition that fills us? How does God resolve these things belonging to Satan? Without a doubt, God uses judgment and chastisement. And for those who never repent, God will destroy them with disasters. It’s fair to say, without God’s righteous judgment and chastisement, corrupt man would not be conquered, much less would they sink to the ground in deep regret. This is the main reason why God must be incarnated to do the work of judgment. There are many who question and have conceptions regarding God being incarnated to do the work of judgment in the last days. Why is this so? This is because we fail to see the reality of man’s absolute corruption. So, as a result, we don’t have the slightest understanding of the meaning of God’s work of judgment in the last days. We fail to seek and investigate the true way. In this way, how could we possibly accept and obey God’s work? “Whatever the age or the place in which God is incarnated, the principles for His work in the flesh remain unchanging. He cannot become flesh and yet transcend the flesh in His work; even less can He become flesh and yet not work within the normal humanity of the flesh. Otherwise, the significance of God’s incarnation would dissolve into nothing, and the Word become flesh would become entirely meaningless. Moreover, only the Father in heaven (the Spirit) knows of God’s incarnation, and none other, not even the flesh Himself or the messengers of heaven. This being so, God’s work in the flesh is all the more normal and all the better able to demonstrate that the Word has indeed become flesh, and the flesh means an ordinary and normal man” (“The Mystery of the Incarnation (1)” in The Word Appears in the Flesh). Almighty God’s word has revealed the significance and mystery of the incarnation. From reading Almighty God’s word we know that incarnation refers to God’s Spirit becoming clothed in flesh and turning into an ordinary and normal person to do the work of God Himself. The incarnate God must have normal humanity, must work and speak within normal humanity. Even when He performs miracles, they must be performed within normal humanity. In outward appearance, God incarnate appears normal. He seems to do His work like a normal, average human. If He didn’t have normal humanity and work in His normal humanity, He would not be the incarnation of God. The incarnation means that God’s Spirit is realized in the flesh. Within normal humanity, He expresses the truth and does the work of God Himself, redeeming and saving mankind. This is the significance of the incarnation. Now what is the significance of God’s two incarnations? What is meant primarily is that God’s two incarnations have completed the significance of incarnation, accomplished the work of the Word appearing in the flesh and completed God’s management plan to save mankind. This is the significance of God’s two incarnations. We should all be clear the purpose of God’s first incarnation was to do the work of redemption and to pave the way for the work of judgment in the last days. So, God’s first incarnation did not complete the significance of the incarnation. The purpose of God’s second incarnation is to do the work of judgment in the last days and thoroughly save mankind from the domain of Satan, to relieve mankind of their satanic disposition, free them from the influence of Satan so that they may return to God and be gained by Him. Almighty God, Christ of the last days, has expressed the entirety of the truth to purify and save mankind, completed all the work of God in the flesh, and expressed all the words that God must express in His incarnate flesh. Only in so doing has He completed the work of the Word appearing in the flesh. Let us read another two passages from Almighty God. Almighty God says, “God will use words to conquer the universe. He will do this not by His incarnate flesh, but through using the utterances from the mouth of God become flesh to conquer all people in the entire universe; only this is the Word become flesh, and only this is the appearance of the Word in the flesh. Perhaps, to people, it appears as if God hasn’t done much work—but God has but to utter His words for people to be thoroughly convinced, and for them to be overawed. Without facts, people shout and scream; with the words of God, they fall silent. God will surely accomplish this fact, for this is God’s long-established plan: accomplishing the fact of the Word’s arrival on earth” (“The Millennial Kingdom Has Arrived” in The Word Appears in the Flesh). “This stage of work fulfilled the inner meaning of ‘the Word becomes flesh,’ lent deeper meaning to ‘the Word was with God, and the Word was God,’ and allows you to firmly believe the words that ‘In the beginning was the Word.’ Which is to say, at the time of creation God was possessed of words, His words were with Him and inseparable from Him, and the final age makes even clearer the power and authority of His words, and allows man to see all of His words—to hear all of His words. Such is the work of the final age. You must come to know these things through and through. It is not a question of knowing the flesh, but of knowing the flesh and the Word. This is that to which you must bear witness, that which everyone must know. Because this is the work of the second incarnation—and the last time that God becomes flesh—it fully completes the significance of the incarnation, thoroughly carries out and issues forth all of God’s work in the flesh, and brings to an end the era of God’s being in the flesh” (“Practice (4)” in The Word Appears in the Flesh). God’s two incarnations complete all the work of God in the flesh, that is, God’s work of complete salvation of man. So, in the future, God will not be incarnated again. There will be no third or fourth time. Because God’s work in the flesh has already been fully accomplished. This is what is meant by the statement that God has been incarnated twice to complete the significance of the incarnation. God has been incarnated twice to complete the significance of the incarnation. For those who have yet to experience God’s work of judgment in the last days, this is difficult to understand. Those who only experienced the work of redemption in the Age of Grace know that the Lord Jesus is the incarnate God. But few understand that the Lord Jesus’ work was limited to redemption alone and He did not accomplish the work of the Word appearing in the flesh. Which is to say, the Lord Jesus did not express the entirety of the truth of the incarnate God’s complete salvation of mankind. So the Lord Jesus said, “I have yet many things to say to you, but you cannot bear them now. However, when He, the Spirit of truth, is come, He will guide you into all truth: for He shall not speak of Himself; but whatever He shall hear, that shall He speak: and He will show you things to come” (Jhn 16:12–13). Now the Lord Jesus has returned to the flesh as the Son of man. He is Almighty God, Christ of the last days. He is here doing the work of judgment beginning with God’s house, here expressing the entirety of truth which will purify and save mankind, the truth contained in The Word Appears in the Flesh. God’s incarnation speaks for the first time in God’s identity to the entire universe, proclaiming His word. He proclaims the details of God’s management plan to save mankind, He expresses God’s will, His demands toward all of mankind and man’s destination. Let’s see how Almighty God explains this: “It is fair to say that this was the first time since the creation that God had addressed all mankind. Never before had God spoken to created mankind in such detail and so systematically. Of course, this was also the first time He had spoken so much, and for so long, to all mankind. It was totally unprecedented. What’s more, these utterances were the first text expressed by God among mankind in which He exposed people, guided them, judged them, and spoke heart-to-heart to them and so, too, were they the first utterances in which God let people know His footsteps, the place in which He lies, God’s disposition, what God has and is, God’s thoughts, and His concern for mankind. It can be said that these were the first utterances that God had spoken to mankind from the third heaven since the creation, and the first time that God had used His inherent identity to appear and express the voice of His heart to mankind amid words” (Introduction to God’s Words to the Entire Universe in The Word Appears in the Flesh). Let us read another two passages of Almighty God’s word, so that our understanding of this truth and mystery can become even clearer. Almighty God says, “This stage of work fulfilled the inner meaning of ‘the Word becomes flesh,’ lent deeper meaning to ‘the Word was with God, and the Word was God,’ …” (“Practice (4)” in The Word Appears in the Flesh). “During the Age of Kingdom, God incarnate speaks words to conquer all those who believe in Him. This is ‘the Word appearing in the flesh’; God has come during the last days to do this work, which is to say, He has come to accomplish the actual significance of the Word appearing in the flesh. He only speaks words, and rarely is there the advent of facts. This is the very substance of the Word appearing in the flesh, and when God incarnate speaks His words, this is the appearance of the Word in the flesh, and is the Word coming into the flesh. ‘In the beginning was the Word, and the Word was with God, and the Word was God, and the Word became flesh.’ This (the work of the appearance of the Word in the flesh) is the work that God will accomplish in the last days, and is the final chapter of His entire management plan, and so God has to come to earth and manifest His words in the flesh. That which is done today, that which will be done in the future, that which will be accomplished by God, man’s final destination, those who will be saved, those who will be destroyed, and so on—this work that should be achieved in the end has all been clearly stated, and is all in order to accomplish the actual significance of the Word appearing in the flesh. The administrative decrees and constitution that were previously issued forth, those who will be destroyed, those who will enter into rest—these words must all be fulfilled. This is the work principally accomplished by God incarnate during the last days. He makes people understand where those predestined by God belong and where those not predestined by God belong, how His people and sons will be classified, what will happen to Israel, what will happen to Egypt—in the future, every one of these words will be accomplished. The steps of God’s work are accelerating. God uses the word as the means to reveal to man what is to be done in every age, what is to be done by God incarnate of the last days, and His ministry that is to be performed, and these words are all in order to accomplish the actual significance of the Word appearing in the flesh” (“All Is Achieved by the Word of God” in The Word Appears in the Flesh). Previous：Question 6: God used Moses to do the work of the Age of Law, so why doesn’t God use people to do His work of judgment in the last days? Does He really have to become flesh to do it Himself? Next：Question 8: It is clearly written in the Bible that the Lord Jesus is Christ, the Son of God, and all those who believe in the Lord also believe that the Lord Jesus is Christ, the Son of God. And yet you bear witness that the incarnate Christ is the manifestation of God, that He is God Himself. So is the incarnate Christ really the Son of God, or is He God Himself? What are the differences between dispositional change and good behavior? People can behave well, but that does not necessarily mean they are possessed of the truth. People’s fervor can only make them abide by doctrine and follow regulation; people who are without the truth have no way of resolving substantive problems, and doctrine cannot stand in for the truth. Those who have changed their dispositions are different. They have truth within, they are discerning on all issues, they know how to act in accordance with God’s will, how to act in accordance with the principles of the truth, ...This is how a change in disposition is expressed.